Experience the thrills, one last time, with season six of television’s slickest, most seductive crime drama — “White Collar.” The tension has never been greater as Neal Caffrey (Matt Bomer) re-teams with FBI agent Peter Burke (Tim DeKay) in their most ambitious sting operation yet — infiltrating a sophisticated gang of deadly thieves. With Elizabeth Burke (Tiffani Thiessen) pregnant, Neal desperate for his freedom, and amidst pressure from Mozzie (Willie Garson) for Neal to cut ties with the FBI, the scheme unfolds, culminating in the series’ most shocking plot twist of all. Also, only on DVD, join the cast and crew as they discuss their favorite moments from the show’s six seasons in the moving retrospective White Collar: Case Closed. I have watched White Collar before and I actually did a review on a season on DVD a few years ago. I love this show and when I found out it is cancelled I was sad but since I only been watching it on DVD and I do own the seasons on DVD I can re-watch this show over again whenever I feel like it. Anyway, White Collar season six DVD only have 6 episodes and some special features. I am so disappointing that there are only 6 episodes in this last season but at least they were able to tie up the show. The ending wasn't the one I was hoping for but I am just glad they were able to have a decent ending unlike some shows that just gets cancelled and doesn't have a ending really. All in all I quite enjoyed this season and I am glad I have it on DVD so that I can watch it again in the future. 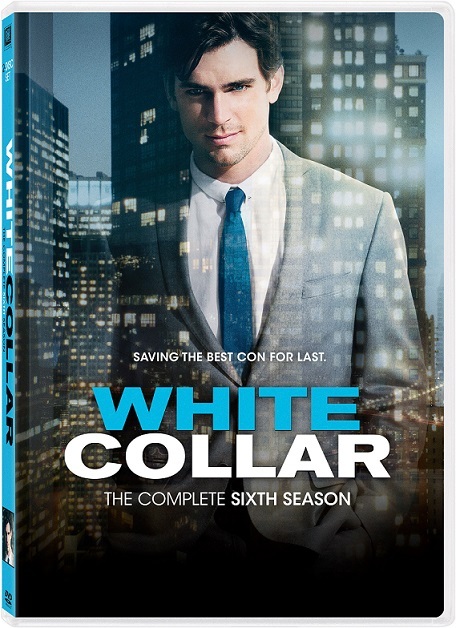 You can now purchase White Collar season 6 on DVD online and in stores near you.